“I need to get home,” James said aloud. He heard shuffling behind the wooden plank that separated his quarters from the rest of the barrack. “We all need to bloody well go home,” he heard. James Wentworth’s secret is no longer a secret, and now he and his beloved wife, Sarah, have been separated. While suffering his own internment, James is reminded of his time with Japanese-Americans in the Manzanar Relocation Camp during World War II, and he cannot allow the past to repeat itself. 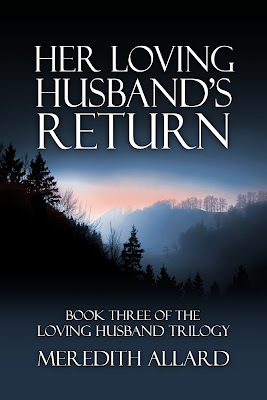 With the help of his friends—Chandresh, Jocelyn, Timothy, even the irreverent Geoffrey—James learns what it means to return, and he is determined to return to his Sarah no matter the challenges—or the consequences. Will James and Sarah be reunited once and for all despite the madness surrounding them? Will James’s most fervent wish be granted? The changes in store for the Wentworths may be irreversible. 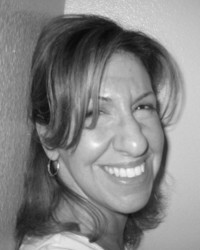 Meredith Allard is the author of The Loving Husband Trilogy, Victory Garden, Woman of Stones, and My Brother’s Battle. She is the executive editor of The Copperfield Review, an award-winning literary journal for readers and writers of historical fiction. She lives in Las Vegas, Nevada.